General TV Channel / Kompas TV is a national terrestrial private television station in Indonesia. 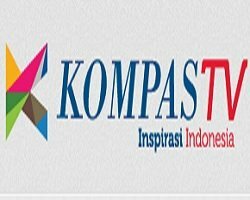 Kompas TV is a television content provider owned by Kompas Gramedia Group; the media group based on Kompas daily, one of Indonesia's leading newspapers, established by Jakob Oetama. Kompas TV was launched on September 9, 2011 with a ”Simfoni Semesta Raya” performance. Kompas TV's tag line is "News and Indonesia's Inspiration" (Indonesian: Berita dan Inspirasi Indonesia). Kompas HD is a simulcast of Kompas TV, Indonesia's first free to air high definition channel, currently Available on K-Vision and Max3 Biznet. On 28 January 2016, Kompas TV was relaunched as a news channel.